There’s a strong whiff of the Matrix wafting through Tron Legacy for good and bad. The retro action jamboree, the 80’s nostalgic cyberpunk aesthetic of the original film injected with the best of modern special effects, action moviemaking sensibilities as well as some super hot Tron babes in neon latex jumpsuits. But like the Matrix films, familiar and recycled characterizations renders anything other than the non-action scenes mostly struggle to get through. It’s certainly the best eye-candy of the past few years, a stylistic extravaganza of eye popping fluorescent duochrome colours as in the original. Like Star Wars, Blue = the good guys, Red = the bad guys. For the few cinephiles who actually remember the old film, back in 1982 the hero Kevin Flynn (Jeff Bridges) was an ambitious video game designer who inadvertently injected himself into the corporate mainframe, a new virtual world where programs were represented by living breathing people fighting the video games for real like gladiatorial death matches. Tron Legacy is one of the very few movies that is let down by a single filmmaking element. The underlying story is weak, but every other element, from casting to production design to editing to musical score, is spectacularly good; even the script is respectable. So I entirely disagree with your assessment that the movie is "as good as it could have been". 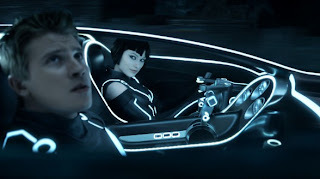 Tron Legacy could have been a movie about the son's conflict between wanting to understand his father (both intellectually and emotionally), but also wanting to distinguish himself from his father. It could have been about a creator's (or parent's) conflict between wanting to control his work versus letting it evolve on its own. So a re-tread of Star Wars was not inevitable; the story could have been so much more. 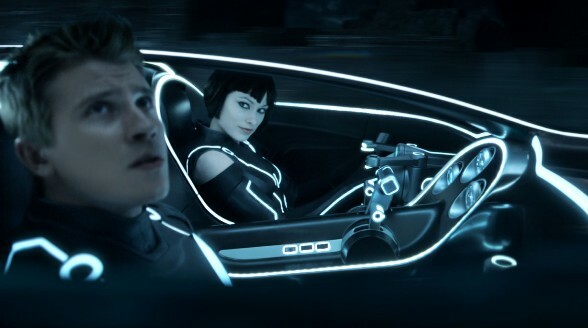 Tron Legacy deserves more than an apathetic shrug; it deserves genuine frustration for having so much potential and then blowing it with an unambitious, derivative story.